This course meets the ethics training requirements many states oblige licensed professionals to take each license cycle. It is also about our shared mission to help each other and the suicidal people we may meet on our journey through life. Every clinician rightly fears being sued for malpractice, even those who practice ethically. Some have raised the following question: "Should a clinical provider serve suicidal patients without specialized training in suicide risk assessment, treatment, and management?" The tide of public opinion and developing law suggests the answer is "no!" Learn what is right around the corner for your practice as a mental health professional. While the actual frequency of suicide malpractice lawsuits successfully prosecuted against healthcare providers is difficult to determine (due to confidential settlements), all experts agree that such suits are a leading cause of litigation against all mental health providers - psychiatrists, psychologists, social workers, psychiatric nurses, licensed professional counselors, and substance abuse treatment professionals. Still, these suits are entirely avoidable. All you need to do to avoid even the accusation of suicide malpractice is to do a few things right. In this video-based lecture and case-study course taught by both a leading Suicidologist and suicide malpractice lawyer, you will learn how to identify and correct potential practice errors in the assessment, risk management, and documentation of your work which, in turn, will greatly reduce the chance that you will ever be sued following a patient death by suicide. With but a little foreknowledge, understanding of how the law works, and thoughtful consideration of your record keeping and communications with other providers and patient family members, you can learn to avoid even the accusation of having been negligent in the care of a patient who died by an act of self-directed violence. Mr. Skip Simpson, a practicing attorney, is perhaps America's leading suicide malpractice lawyer. 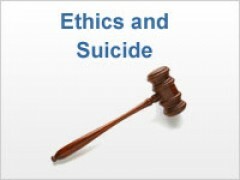 Mr. Simpson consulted on this course and provides unique insights and suggestions for avoiding suicide malpractice. You may learn more about his practice at his website: www.skipsimpson.com. Dr. Paul Quinnett is a clinical psychologist and Suicidologist who has taught a seminar in avoiding suicide malpractice for 20 years. He is also the current Chair of the Ethics Committee for the American Association of Suicidology. As an expert in the assessment and care of suicidal patients, and with 35 years of experience in the field, he has testified many times as an expert witness in cases of suicide malpractice. In response to a national competition for avoiding suicide malpractice, this seminar and its associated training program in suicide risk assessment, won the J.J. Negley Associates, Inc. Presidents Award for Avoiding Suicide Malpractice. This $15,000 award was presented to Spokane Mental Health and the course leader at the National Council for Behavioral Health Care Organizations at their 1998 annual convention in Chicago, Illinois. The answer is simple: Ethical practice demands that you do the right thing. What is the right thing when serving suicidal patients? The answer is obvious. If you can prevent the suicide of one of your patients, you will help save a life and help America achieve its goal of reducing the terrible toll suicide takes on our fellow citizens. The mission of the QPR Institute is save lives from suicide. In learning how to practice ethically, you will also learn to avoid even claims of suicide malpractice. Will additional training, you can also learn how to mitigate and manage patients at elevated risk for suicide, which may well prevent a suicide attempt or completion. More, by preventing suicide you will protect a family from terrible grief and suffering and protect yourself, your practice, your agency, and your professional reputation. But what if one of my patients dies by suicide? We hope this never happens, but we must be realistic. If preventing suicide was easy, it would have already be done. The fact that you are working in a clinical setting defines a population of patients known to be at elevated risk for suicide. Thus, you are working in a high risk environment. The more you know about and understand suicidal behavior, and the better you document your observations, assessments, and communications with others about your work with suicidal patients, the lower the risk that, should a patient take his or her life, you will be sued for contributing to that death. What are the ethics of working with suicidal persons, and how is this connected to suicide malpractice? Knowing the lay of the land ahead of you is the best preparation for what will likely never happen. But since you are in this field and working with high risk individuals, we want to share what we've learned along the way and, into the bargain, help you help prevent the suicide of someone's loved one. Note: this course is not a substitute for professional legal advise or counsel. We recommend you always check with your own attorney before responding to any potential matter involving the potential of litigation. Completing the modules and passing the quiz allows you to print a Certificate of Course Completion. This course provides 4 hours of continuing education credits as determined by the National Board of Certified Counselors. You may submit the course outline, learning objectives, your certificate and/or other information to an appropriate continuing education organization of your selection.